Asghar Farhadi has served as Artist-in-Residence for the past two years at the AFI Conservatory, and his classes had a profound impact upon the 250 young men and women who attend AFI from around the world. The AFI Conservatory stands with artists and filmmakers who find the power of creation through freedom of expression and freedom of movement. We believe that any form of censorship — including the restriction of travel — to be against all values we cherish as a community of storytellers. We look forward to welcoming Mr. Farhadi back to AFI in the fall. 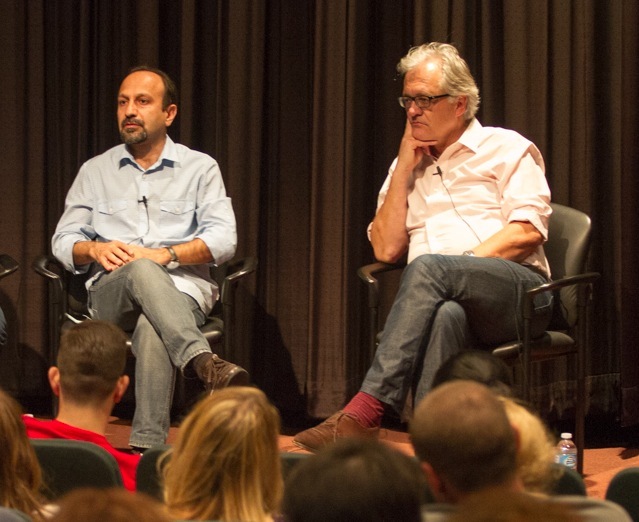 Asghar Farhadi and AFI Conservatory Dean Jan Schuette at a Harold Lloyd Master Seminar for AFI Fellows on September 27, 2016.